A little girl is born with skin so black her mother will not touch her. Desperate for approval, to just once have her mother take her hand, she tells a lie that puts an innocent schoolteacher in jail for decades. This novel does not aspire to the grand sweep of history in Ms. Morrison’s dazzling 1987 masterpiece, Beloved, but like Home (2012), it attests to her ability to write intensely felt chamber pieces that inhabit a twilight world between fable and realism, and to convey the desperate yearnings of her characters for safety and love and belonging ... Because so many lives are mapped in this slender book and because so many of these characters speak to us directly in the first person, God Help the Child jumps around a lot in time and space; it is up to us to connect — or not connect — many of the dots. The narrative also has touches of surrealism that may initially seem jarring and bizarre, but that gradually lend Bride’s story a fairy-tale-like undertow ... As the book flies toward its conclusion, the speed bumps in its early pages quickly recede in the rearview mirror. Writing with gathering speed and assurance as the book progresses, Ms. Morrison works her narrative magic, turning the Ballad of Bride and Booker into a tale that is as forceful as it is affecting, as fierce as it is resonant. God Help the Child is the kind of novel where you can feel the magnificence just beyond your reach. The writing and storytelling are utterly compelling, but so much is frustratingly flawed. 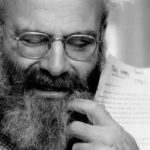 The story carries the shape of a far grander book, where the characters are more fully explored and there is far more at stake. As the novel stands, the only characters we know with any kind of depth or significance are Bride, Sweetness and, to a lesser extent, Booker. There are several others of whom we learn little when the narrative clearly demands much more ... Yet still, there is that magnificence, burning beneath the surface of every word. The language, shifts in point of view and the audacity of the novel’s premise are overwhelming. Morrison remains an incredibly powerful writer who commands attention no matter the story she is telling. In God Help the Child we have a coming-of-age story for an adult woman in arrested development. Because her latest work offers curious reflections of where she began in The Bluest Eye, it’s tempting to read God Help the Child as a capstone of her jeweled career. Once again, we have a young woman whose life is overdetermined by the pigment of her skin in a culture torn with sexual violence. 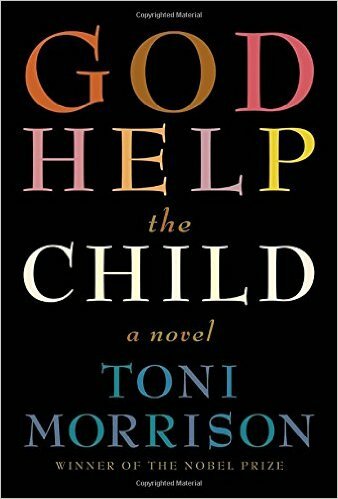 But unfortunately, God Help the Child carries only a faint echo of that earlier novel’s power ... [Morrisson] leaves these people no interior life, a problem that grows more pronounced as the novel rolls along from trauma to trauma, throwing off wisdom like Mardi Gras bling. While attempting to create a kind of fable about the lingering effects of maternal neglect and racial self-hatred, Morrison ends up instead with characters who keep phasing between skimpy realism and overwrought fantasy. What did you think of God Help the Child?